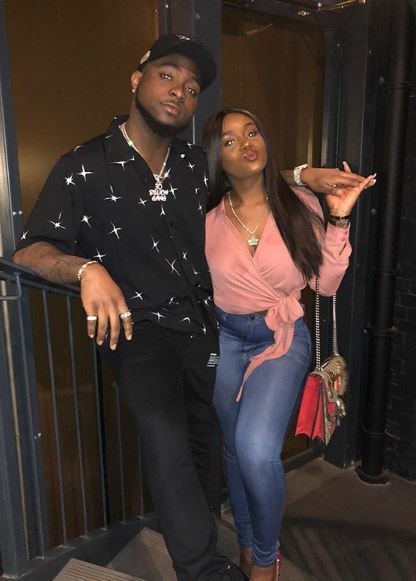 Home OMG Davido gives ultimate ‘Assurance’ to Chioma, proposes marriage to and she said ‘yes’? Davido gives ultimate ‘Assurance’ to Chioma, proposes marriage to and she said ‘yes’? It looks like, singer; Davido might be walking down the aisle with girlfriend, Chioma, sooner than we anticipated if their recent lovey-dovey interactions on social media are to be taken into account. The singer has been gushing over one of the recent photos of his Backcock University girlfriend, Chioma. 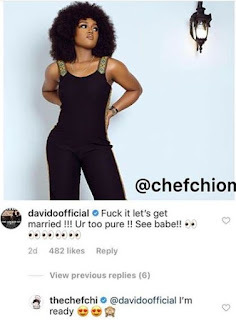 In the, she rocked a black jumpsuit in a picture she uploaded on Instagram and Davido rushed to the comment section to technically propose marriage to her and she accepted. “F*ck it let’s get married!!! Ur too pure!! See babe! !” Davido said.